We are almost at the two year anniversary of Mike's passing. I still get people who try to tell me how I'm supposed to be feeling or what I should be doing at this point in my life. People keep telling me I'm different or I need to be more like the old me. For awhile I tried to be more like who I used to be and then I realized that it simply wasn't who I was anymore. At this point in my life I am doing what is best for me and that looks nothing like the person I used to be...I'm more than okay with that. I love this. Absolutely. 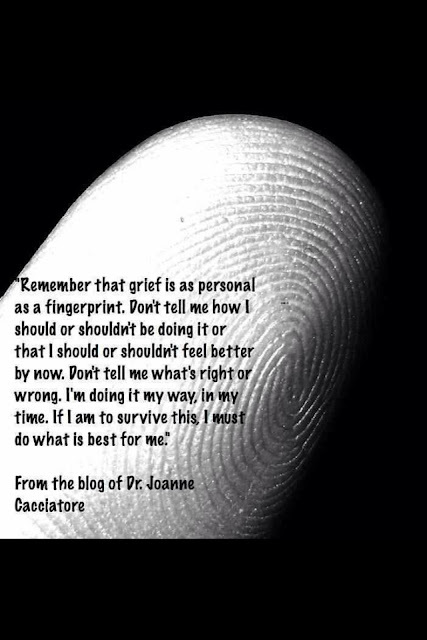 There is nothing more personal or private than grief. I'm back on my old job for the first time in two years. It's weird working it without Mike. I have thought about him a lot particularly lately. I think about everyone on #8 from time to time. Mike loved throwing himself into that job. I miss the stories. Hope you are enjoying being back.